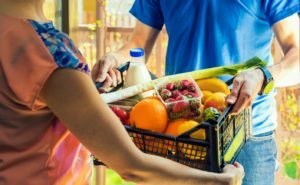 The face of grocery shopping is changing rapidly as people become busier and live in smaller spaces, and so look for convenience in choosing, buying and consuming food, according to a new report. The ‘Quest for Convenience’, by Nielsen, looks at changing consumer needs around the world, especially factors driving consumers’ needs for convenience, and provides insights, indicators and solutions for suppliers and retailers to tap into. Among some of the take-outs are that FMCG online sales are growing an estimated five times faster than offline sales, and by 2022, global FMCG e-commerce will comprise 10%-12% of overall market share and be worth more than US$400 million. Shoppers are using the digital more and more while shopping, with 36% using online/mobile shopping lists to compare prices, 34% scan QR codes to access product info, 36% use store wifi to get info and offers, 35% use social media to help purchase decisions, and 26% discover new products via social media. The report says that for FMCG companies, and many other industry players, the quest for convenience starts with many areas to consider and explore. Is my company “future-ready”? How are we considering the changing macro environment drivers that impact consumer lifestyles? How will consumers interact and engage with retailers and brands moving forward? How can we understand consumers’ pain points and deliver on the benefits of convenience? Is our corporate charter and business model agile enough to adapt to these emerging trends. Can we embrace new and different technologies to fulfil consumers’ evolving requirements?